City of London…..The headquarter of British monetary system. 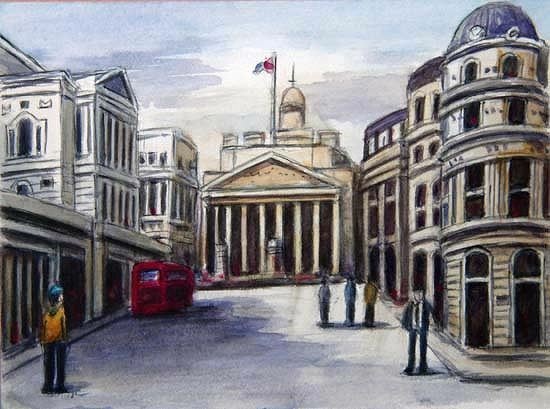 Center, Royal Stock Exchange. Left, Bank of England.